Eclipse-based graphical designer for intuitive visual mapping of complex integration flows. Flexible ‘two-way’ editing functionality that allows developers to utilize graphical development tools while still providing full access to review and modify the underlying XML configuration files. Simplified deployment and management for Standalone Mule instances, and deployment to cloud by hosting in the MuleSoft CloudHub environment. Developers using Mule ESB and MMC will have a web-based message flow debugger at their disposal, allowing them to quickly pinpoint and resolve configuration issues by auditing real-time message flows, message payloads, headers, the timing, and more. If the service flow isn't behaving the way as expected at development time, users can quickly turn on the auditor and figure out which component is at fault. Define alerts on resource utilization of services, service-level events, or message payloads. Receive notifications when critical metrics cross thresholds. Escalate alerts or trigger corrective actions using custom alert scripts. Audit message traffic and associated properties on both the inbound and outbound sides of services. Quickly pinpoint and resolve Mule ESB configuration issues. Turn service level auditing on and off to capture just enough data to diagnose an issue without impacting performance. View performance data (e.g., threads, memory and CPU utilization) at the service level. Detect performance bottlenecks down to individual thread and object level. Change resource allocation (e.g., thread pool size) at runtime to optimize service performance. Start, stop, and restart ESB resources individually at the server, service, and end-point levels. Remotely access, update or replace any file or configuration on a Mule ESB server. View logs, server and cluster configuration information. Mule ESB provides an extensible framework for capturing and viewing business KPI’s as they flow through your integration infrastructure. Mule ships with a lightweight process manager that seamlessly integrates with the Mule runtime. Additionally, Mule can integrate with any BPM engine via SOAP or REST web services. RAML Support, we can import RAML files for your APIs that are managed in the Anypoint Platform by the API Manager and keep them in sync with the platform.While working with a RAML file, you can also view an embedded interactive API Console that's automatically built from the resources and methods described in your RAML.Handle complex data mappings and transformations through the Transform Message component, that leverages the powerful DataWeave language. This component allows you to create your transformations both through a simple drag and drop visual interface or by coding in DataWeave to unleash all of the language's potential. ease of use cloud support Java based re-usability good customer support Scalability API Manager - Helps in managing the APIs right from applying in-built policies to creating custom policies. Create proxy on top of your applications seamlessly. In-built load balancer as well as customization option. VPC- Able to create a private network of your applications and allows limited access to some of the applications Runtime Manager - Deploy your applications either on-premise or on cloud. You have option to choose your own environment. Anypoint MQ- Enterprise feature messaging system. Anypoint Studio - Eclipse based IDE where you can design the flows, debug, run them, create unit test cases and also use mocking feature. Anypoint Exchange - It helps sharing your API contracts ( WSDLs, RAML ), APIs, etc easier. Anypoint Connectors - Many in built connectors which help connecting to many systems like SAP, Salesforce, Workday, Twitter, AWS, Mainframe, etc. There is a provision to create custom connector too. It is Java based so we can leverage all the reusable libraries Java has to offer. API Manager - Helps in managing the APIs right from applying in-built policies to creating custom policies. Create proxy on top of your applications seamlessly. In-built load balancer as well as customization option. VPC- Able to create a private network of your applications and allows limited access to some of the applications Runtime Manager - Deploy your applications either on-premise or on cloud. You have option to choose your own environment. Anypoint MQ- Enterprise feature messaging system. Anypoint Studio - Eclipse based IDE where you can design the flows, debug, run them, create unit test cases and also use mocking feature. Anypoint Exchange - It helps sharing your API contracts ( WSDLs, RAML ), APIs, etc easier. Anypoint Connectors - Many in built connectors which help connecting to many systems like SAP, Salesforce, Workday, Twitter, AWS, Mainframe, etc. There is a provision to create custom connector too. It is Java based so we can leverage all the reusable libraries Java has to offer. Pricing is not very good. Need more features in API manager like payload limiting, debugging is weak, etc. While the Anypoint Platform is a newcomer to API management tools, it still manages to be feature rich and offers a great deal of resources for both API development and deployment needs. As an ESB, it offers a plethora of connectors for making our various enteprise systems work with each other while exerting minimal effort to do so. The interface is extremely user friendly as both a developer, administrator and consumer of APIs.- Intuitive user interface. It's extremely easy to locate API information and consume analytic information. - Easy to do create new APIs via RAML. - Fast and easy deployments and updates. - Wide range of connectors. - Intuitive user interface. It's extremely easy to locate API information and consume analytic information. - Easy to do create new APIs via RAML. - Fast and easy deployments and updates. - Wide range of connectors. - Customer support can be a bit slow and hard to reach. - Developer Portals for APIs do not allow for much customization. - If you manage a lot of APIs, it is hard to keep track and administer APIs since tables do not let you sort using API request date and other variables. Contact MuleSoft for pricing information. Enterprise applications are changing, along with the requirements for developing, deploying, integrating and managing them. A change in application infrastructure is needed to address the new demands on applications. There is a growing acknowledgement that the traditional JEE 3-tier architecture does not work for the new generation of applications. The line between application and integration is fading as composite applications are becoming more widespread and the number of SaaS and web API services increases exponentially. Today's developers and IT organizations need an enterprise SOA solution that is powerful enough to support the most demanding back-end enterprise systems, yet can seamlessly integrate with the next generation of applications on both sides of the firewall. 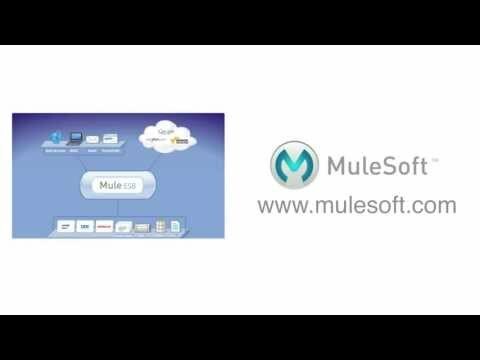 Mulesoft products provide the necessary secure enterprise connectivity to back end systems while also embracing the new protocols and architecture of the web. Our lightweight and flexible infrastructure means that you can deploy our components anywhere, in any environment (standalone, application server, on premise, hosted/cloud) to provide the necessary connectivity and service mediation. Our flexibility also means you can leverage existing technology investments without having to replace everything with a heavy “stack.” Additionally the Mule runtime of Anypoint Platform also provides the simplest approach to integrating SaaS applications. Mule runtime, when deployed as an ESB, takes the complexity out of integration, providing connectivity to a wide range of technologies and creating services that can be reused across your organization. It is lightweight and flexible, adapting to your existing infrastructure. Mule’s connectivity services support legacy, non-service enabled assets, modernized SOA-enabled assets, and new SaaS applications living outside the firewall. It also provides end-to-end visibility, performance configurability and high availability into your SOA infrastructure. Below are some frequently asked questions for Mule ESB. Q. What type of pricing plans does Mule ESB offer? Q. Who are the typical users of Mule ESB? Q. What languages does Mule ESB support? Q. Does Mule ESB support mobile devices? Q. Does Mule ESB offer an API? Yes, Mule ESB has an API available for use. Q. What other apps does Mule ESB integrate with? Q. What level of support does Mule ESB offer? Q. Which apps is Mule ESB compared to most often?